06 Şubat 2019 Çarşamba 13:01 - 9 reads. "The Danish Jehovah's witness sentenced for extremism"
"A Danish man has been sentenced to six years in prison for religious extremism in Russia, according to human rights organization Amnesty in Denmark. The man, who is a member of the Jehovah's witnesses, were arrested during a bible reading in the city of Oryol and has been in custody since may of 2017." 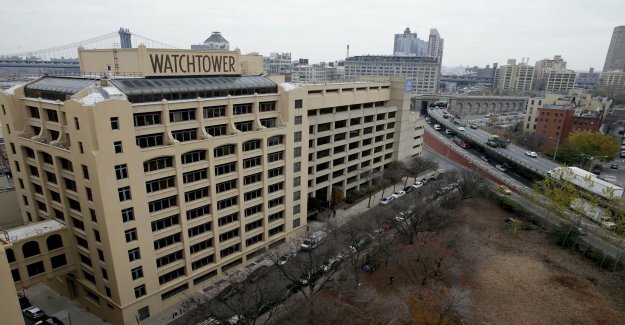 "in 2017, stamped Russia Jehovah's witnesses as an extremist communities and the business was banned. Human rights organisations have reported that the Russian government is responsible for widespread persecution of the followers to the movement, with many arrests and polisräder." "the Judge pointed out that the dane has been active in order to maintain the Jehovah's witnesses prohibited activities in Russia, according to a representative of Amnesty Denmark, who was present in court." "the Dane is the first Jehovah's witness to be sentenced for extremism in Russia. He denies the allegations. That the man exercised his freedom of religion should not be a penalty, says Amnesty."